By davidf, October 19, 2012 in Plugins - Publishing ONLY! This plugin sets all alpha values in the image to 0 or 255, with a probability based on the current alpha value. 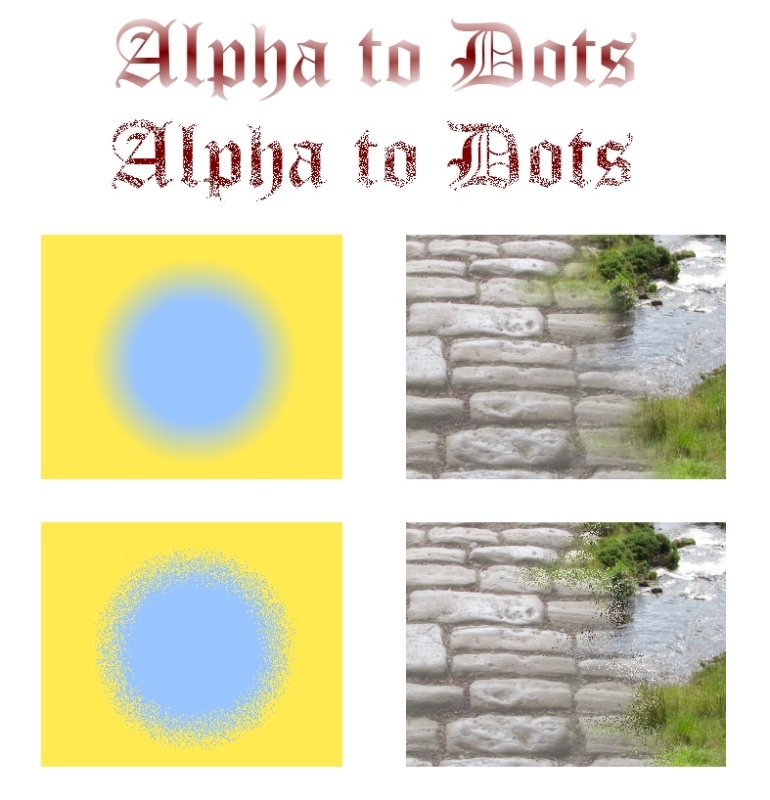 The result is a "dotty" transition instead of a blended one.